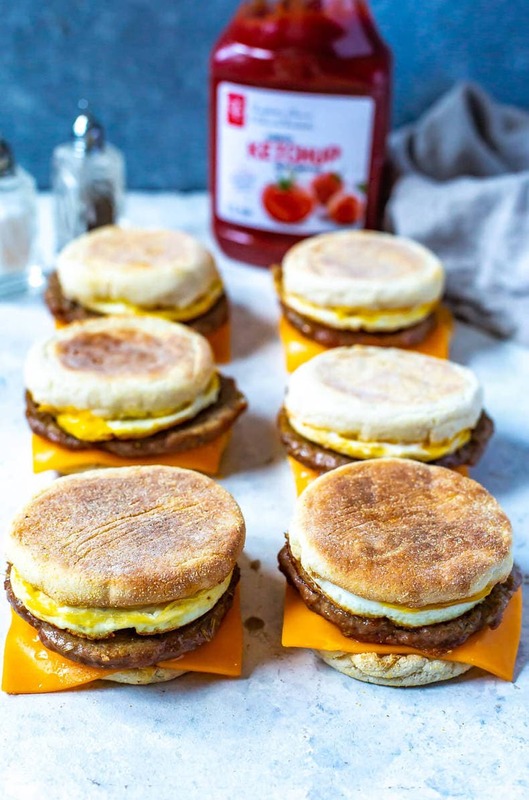 This Meal Prep Egg and Sausage McMuffin is a healthier copycat version of the McDonald's Sausage Egg McMuffin® – it's a delicious weekday breakfast with fewer calories! 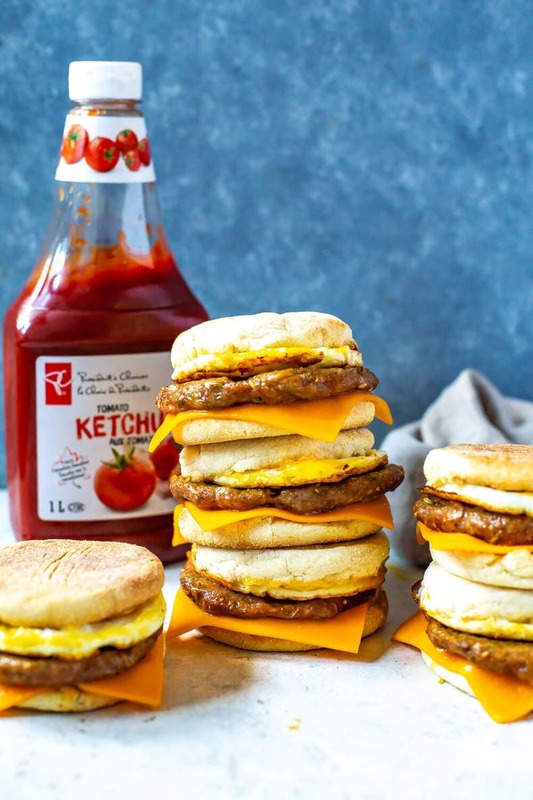 Is the Sausage McMuffin with Egg healthy? It probably goes without saying that very few breakfast sandwiches from fast food restaurants are healthy. Even if the restaurant's website claims that the Sausage McMuffin is a good source of protein, that doesn't make it a healthy choice. Here are some quick nutritional facts for you to digest (pun intended). This information, taken from the McDonald's website, is for nutrition on their McMuffin sandwich with egg, sausage, and cheese. Calories from fat: 270 – That's more than 50% fat, and 12% of that is unhealthy saturated fat! Sodium: 830mg – That's 35% of the sodium we should be eating in an entire day. Not horrible, but definitely not awesome, either. Keep in mind, this information is just for the McMuffin sandwich, without hashbrowns, french fries, or anything else on the side. So the challenge is on! 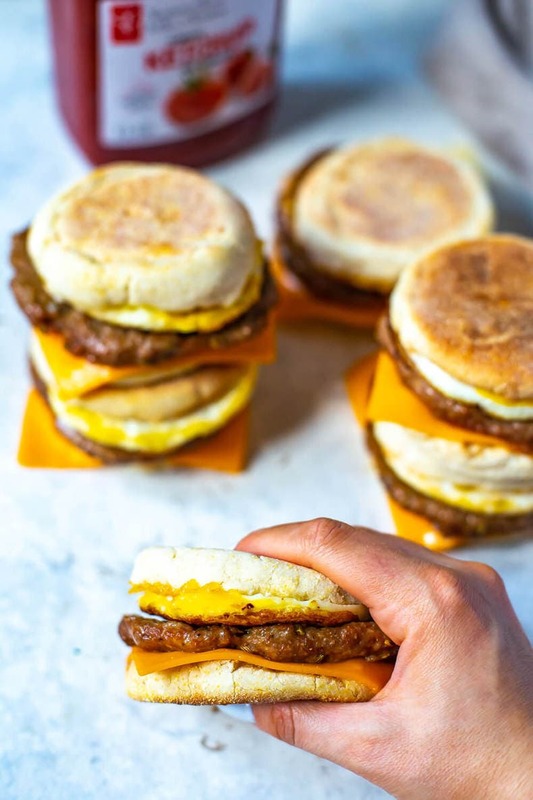 Let us show you to create a healthier version of McDonald's Egg and Sausage McMuffin breakfast sandwich. 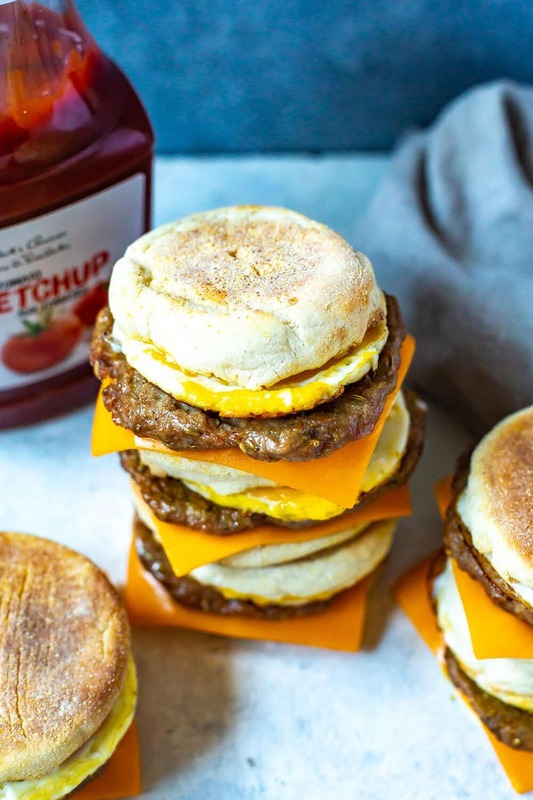 So how is our copycat Sausage McMuffin healthier than the McDonald's version? Let's take a look! Sausage Patty – McDonald's sausage patty is made with pork, salt, sugar (Dextrose), “spices”, and rosemary extract. 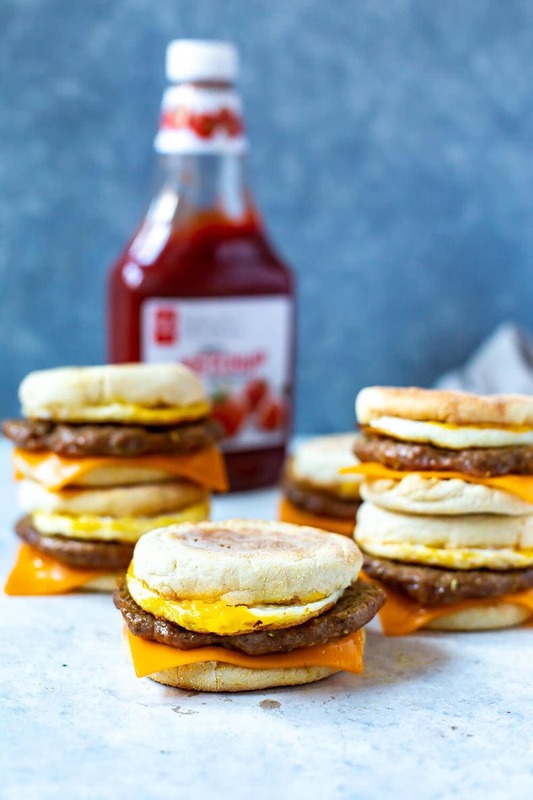 To make our copycat McMuffin healthier, we use homemade sausage patties, made with either lean ground turkey or chicken. Oh, and there isn't any added sugar in our sausage patties. Cheese – The restaurant uses pasteurized processed cheese slices on their McMuffin. Do you know that processed cheese is only 51% actual cheese? 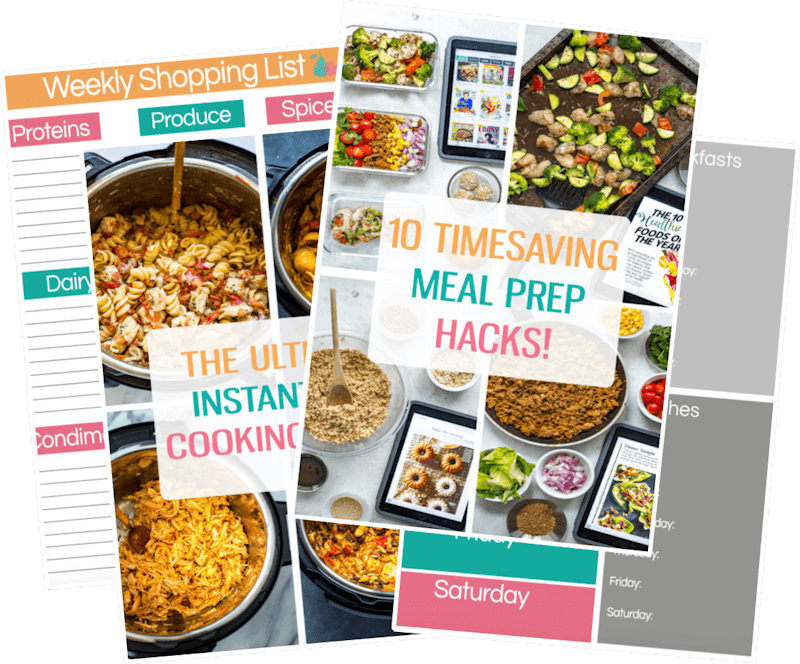 The remaining 49% is fillers, artificial colors, water, and other non-food items. Tasty, right? To keep things healthier, in our copycat McMuffin, we suggest using 100% real cheddar cheese, or for an even healthier option, choose a lower fat cheese, like Provolone. 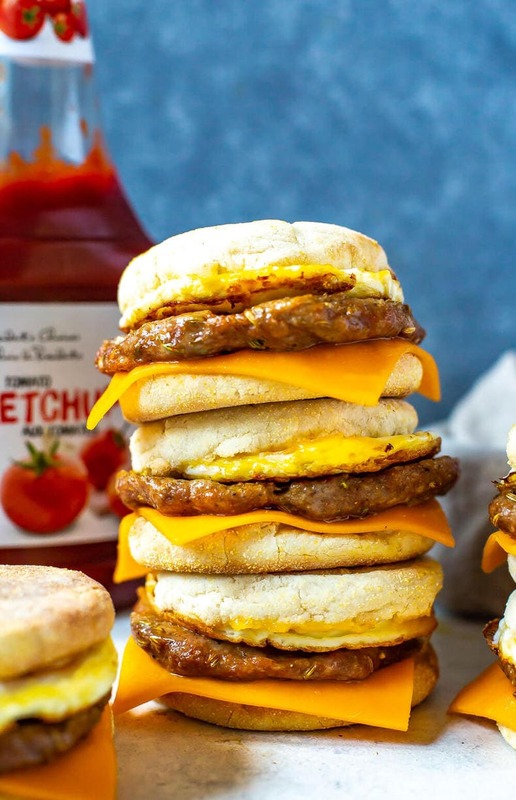 English Muffin – You won't really lose calories this way, but to make our meal prep sausage McMuffin healthier, you can use whole wheat English muffins instead of white. Want to take it a step further? Make a low carb McMuffin, using a lettuce wrap instead of an English muffin! Cook a large batch of sausage patties up at one time. Then, either freeze or refrigerate them for use later. Do the same thing with the fried eggs. In case you are wondering, YES, you can freeze cooked eggs! Pre-slice the English muffins so they are ready to go right into meal prep containers when you need them. Cut slices of cheese off the block ahead of time, or if you are using processed cheese, unwrap the slices. 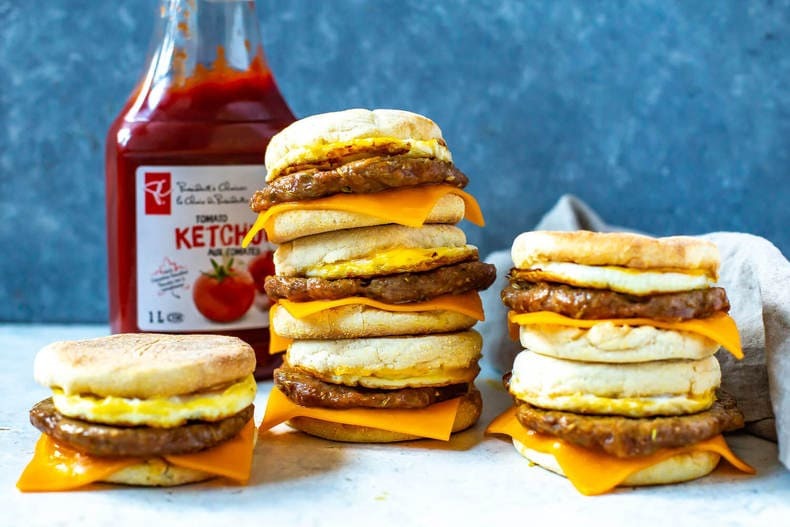 If all of this is done ahead, putting the Egg and Sausage McMuffin sandwiches together takes just a couple of minutes in the morning! Do you need more make-ahead breakfast ideas? Here are some of my faves! 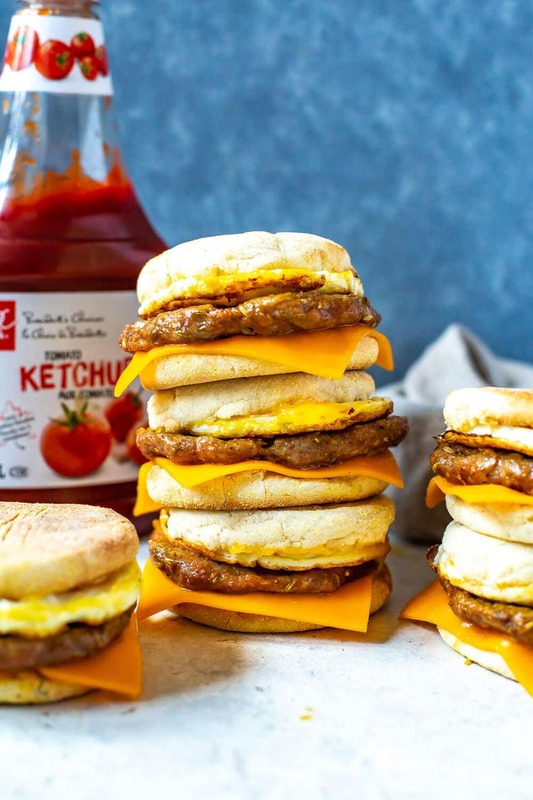 These Non-Stick Egg Rings are perfect for making these Sausage Egg McMuffins. 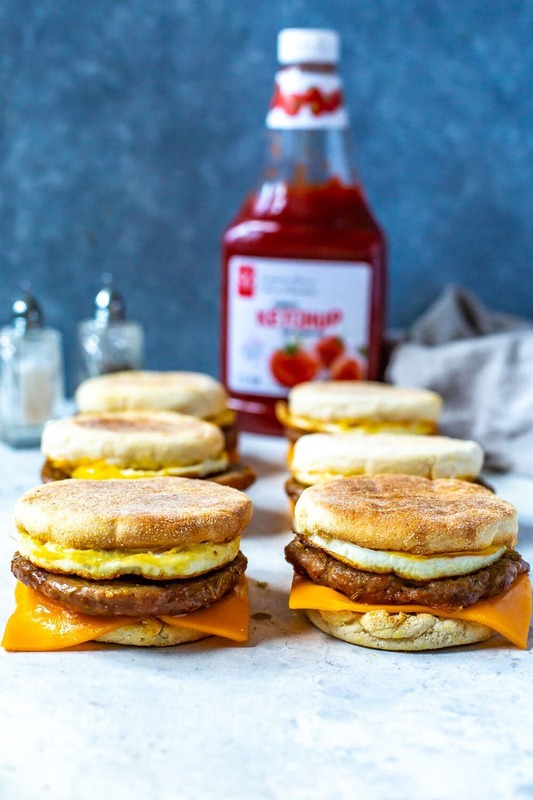 Grab some glass meal prep bowls if you plan on packing these Egg McMuffins up for grab & go breakfasts. 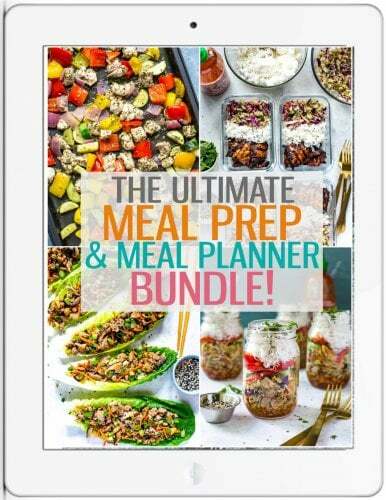 And of course, I get all my free-range ground chicken from Butcher Box! 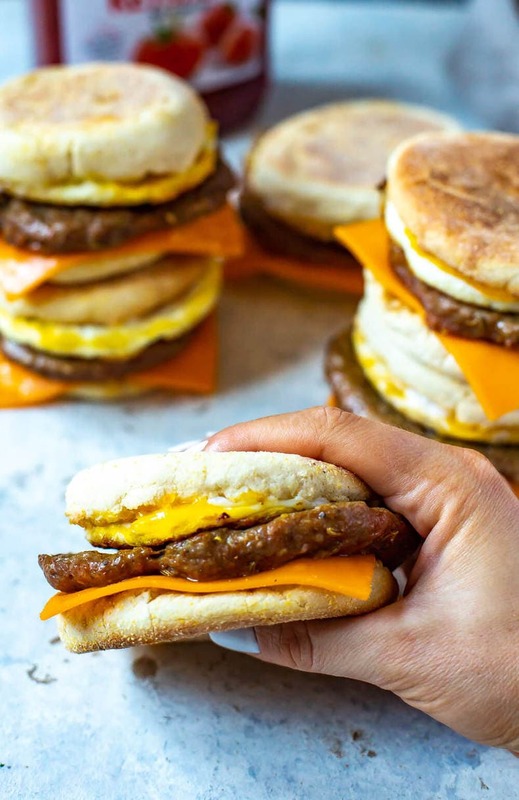 This Meal Prep Egg and Sausage McMuffin is a healthier copycat version of the McDonald's Sausage Egg McMuffin - it's a delicious weekday breakfast with fewer calories! In a large bowl mix together ground turkey, fennel, paprika, garlic powder, salt and pepper. Form 6 patties. Preheat 1 tbsp olive oil over med-high heat and then add patties to skillet, cooking for 5 minutes per side until sausage patties are cooked all the way through. Meanwhile, lightly toast English muffins in a toaster, then add cheese slices to bottom of muffins. Remove sausages from heat and add them on top of cheese slices on muffins. Wipe frying pan clean with a paper towel, then spray with cooking spray and turn heat to med-low. Crack eggs into egg rings, ensuring that the rings are firmly touching bottom of skillet so eggs maintain a round shape (see link above for egg rings), then break yolk. Cover skillet with lid and cook eggs for about 4-5 minutes or until eggs are firm, then add on top of sausages and top with remaining English muffin buns. Serve and enjoy!